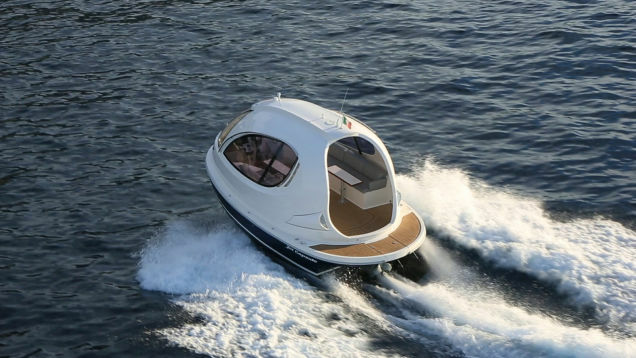 The philosophy of faster transport with higher sensation is spreading to yachts with a new Italian creation, the Jet Capsule. Designed by Pierpalo Lazzarini, it looks a lot like a Bond movie prop found in someone's garage. 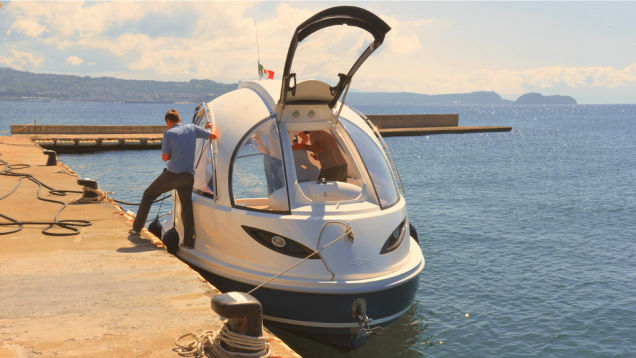 According to the Jet Capsule people, it's for those who want to carry a group of friends to a private island in comfort and lots of luxury. 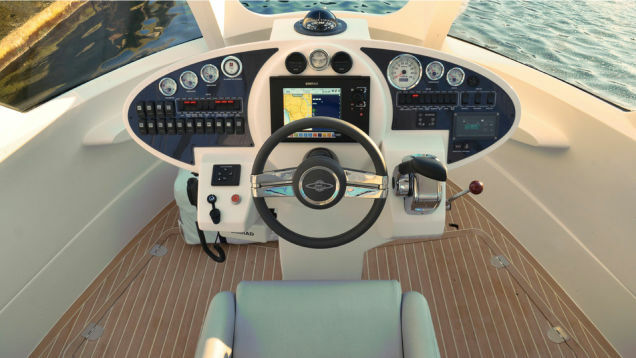 But without that absurd cost and inconvenience of docking a full-size yacht. Naturally, it should appeal to cost-conscious yachters. Normally when you talk about yachts, you’d imagine a boat with sails that’s about 40 feet long and is usually reserved for people with an abundance of financial resources. There are some individuals and design teams that are working to incorporate new elements and technology into classic yacht design. One of these is an Italian firm that came up with an innovative design which they called the Jet Capsule. The idea for the Jet Capsule first took root in the mind of Italian Pierpaolo Lazzarini back in 2009. Initially, he wanted to make a superyacht that wasn’t expensive so that more people could experience the sensation of being in one. Although the technology for making a luxury personal watercraft was already present, the main challenge was how to make a one that was affordable. 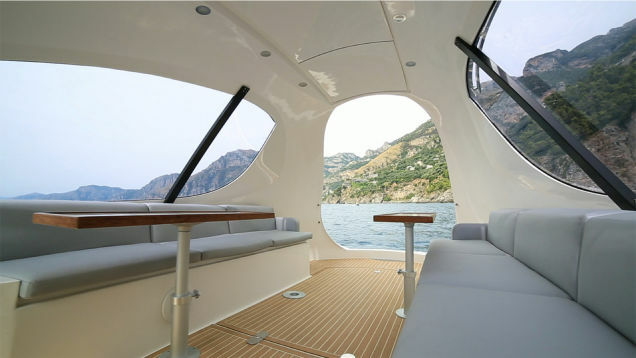 The solution that Lazzarini arrived at was to simply design a smaller watercraft that retained the luxurious amenities of larger superyachts. After going through various sketches for how this boat should look like, the design team finally settled on a design that was compact yet had enough space to accommodate a total of 13 people. What’s peculiar (innovative) with this design though was the fact that it used a jet propulsion system instead of propellers. This, along with its compact frame was supposed to give the Jet Capsule more mobility than older yachts. Although the Jet Capsule’s design is undoubtedly innovative, it’s still too early to be saying that it is the future of marine mobility. The design of this personal watercraft still belongs under Category C. This means that it’s mainly for use in coastal waters, estuaries, lakes, or any body of water where wave heights are less than 2 meters and wind force on the Beaufort scale is at 6.